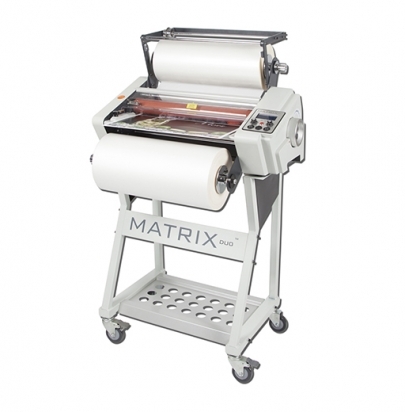 The Matrix Duo is a hot laminator and allows the flexibility of single side OPP roll film lamination and encapsulation providing an affordable and effective solution to outsourcing. Built for continuous use on an everyday basis and constructed using parts of the highest quality only. The Matrix Duo has been designed to help breathe life into your business by allowing you to provide your customers with a service you previously had to outsource, enabling you to offer your customers a truly one-stop shop.